75GPD RO Water Purification System designed to fit under the sink. It does not occupy counter space and can fit under most kitchen sinks. The purifier is equipped with Reverse Osmosis technology that removes the excess TDS and other impurities from your water including organic and inorganic compounds such as salts, Nitrates, Fluoride, Calcium, Magnesium, Cadmium and Phosphates, along with metals, bacteria, viruses, inorganic chemicals and algae. 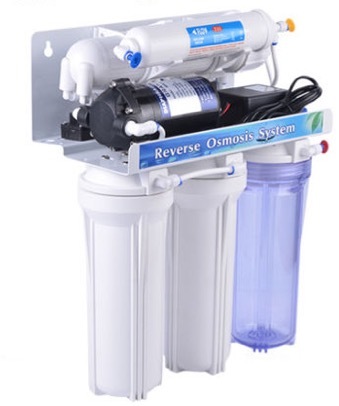 Reverse Osmosis systems are easy to maintain and economical, generally only requiring cartridge replacement every 12 months. Our Reverse Osmosis systems are available in 3, 4 or 5 stage varieties depending on your needs and water quality and can be installed conveniently underneath the sink or can be provided in a completely portable option.